A peer-to-peer or workgroup environment differs fundamentally from the network domain model. 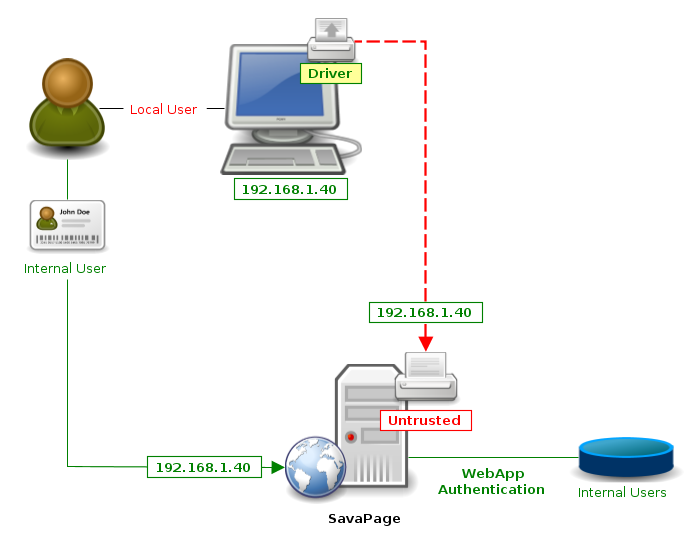 In the domain model, users authenticate with a unique (password protected) user name, as defined in a central server, while in a workgroup user identity is validated against a Local User rather than a central authority. The workstations are either set up to automatically login as a general "user", or user accounts are created locally as required. Trust can be enforced by creating a Public SavaPage Queue. See Section 13.1.13, “IP Based Authentication”, and using the Internal Users feature for Web App authentication.